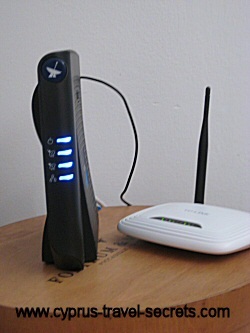 Find the best wireless broadband internet in Cyprus options. Living in a remote location? You can still have affordable access to the internet. When we moved to Cyprus 8 years ago, broadband interent services were only available in the main towns. Cytanet, the island's main telephone company had plans to rollout broadband into the "sticks" but, as nothing ever happens quickly here in Cyprus, that was going to take some time. As our house was being built in a "remote location", in other words, 3km from the nearest electricity pole and 400m from the main road, we could only get a telephone line by paying Cytanet a small fortune. So we opted for broadband internet via satellite - an expensive option compared to paying for a monthly service through Cytanet, but our only option at the time. 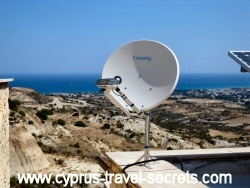 While we had good internet access through the satellite, our internet broadband speed was quite slow at less than 1Mg/1000 kbps, meaning we couldn't watch videos on Youtube or, as is now the norm for many people in Cyprus, watch any TV programmes via the internet through websites like Film-On. We just didn't have a fast enough speed. 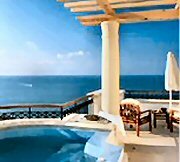 Wireless broaband internet in Cyprus was changing fast and other firms were offering broadband services without the need for a telephone line. We weren't happy, however, with any of the services on offer after speaking to friends who constantly had issues with losing the connection - not something you need when you need to be online 24/7 when running a business! Tip: While satellite broadband is more expensive than using wireless options, you do have the benefit of a stand-alone system which means your speed doesn't slow or crash when there are lots of users accessing the same wireless signal. A few months ago, we heard that Normsat, a company that originally supplied the same Hughes.net satellite system we were running, had found a new satellite broadband internet provider with a massive 10MG/10000 kbps speed for a lower price. After installing the new system, complete with a new wireless router to use laptops and tablets round the house, we suddenly found ourselves with a super fast connection which meant we could watch Youtube and BBC iPlayer with no buffering. Yippee! Tip: Lots of people are obsessed with doing constant speed tests to check what actual speed they are getting, but did you know that every time you do a speed check, whether through BBC iPlayer or another site, you are wasting valuable download capacity and that can then slow your actual speed down! This week, after just a few months, we had huge problems connecting to the internet but within a matter of hours, Norman from Normsat had arrived at the house (after just a phone call which was meant to be handled by the "tech" guys in Europe) and had replaced an expensive piece of hardware on the satellite dish. What stellar service. So not only are we really pleased with our wireless broadband internet in Cyprus via satellite, it's great to know that we have a complete back-up service if any problems arise, unlike many friends who have reported down-times of days if not weeks from other companies. Tip: If you live in a remote location with no telephone line, give Norman at Normsat a call on +357 99341936. While he is Paphos-based, he can install wireless broadband pretty much anywhere across the island. And the cost? Well it's not cheap at just over 80 per month, but our wireless broadband internet in Cyprus works well and we know we can get things sorted quickly if anything goes wrong.